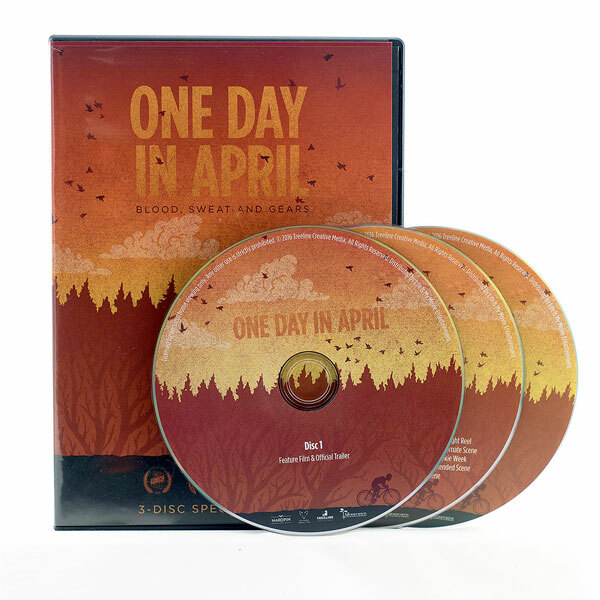 One Day in April is a feature-length documentary that chronicles the triumphs and failures of four collegiate cyclist teams competing to win the Little 500. The film is a bittersweet portrait of life in the midwest and the drama from training through race day. Added Value Content including Little 500 Qualifying Round footage, never seen before Little Men's and Little Women's 500 footage and lots of promotional footage. At a time when collegiate athletics is navigating an increasingly uncomfortable intersection of profit and competition, the Little 500 remains an example of pure sport in America’s heartland. Through the stories of the individuals who make up the Little 500 community, “One Day in April” is a testament to the virtue that sports build community and forge kinships rarely savored otherwise. The expansive narrative of friendship, failure, and redemption plays out across a cast of characters that includes experienced veterans, accident-prone rookies, and alumni coaches who treat the Little 500 like it’s the Indianapolis 500. In a once-a-year event like this, there is no tomorrow.